The standard Style 2D Bag Purse is bright bold and in charge! Show off your sass with your new 2D Purse perfect for grabbing the attention of the passerby or maybe that cute guy! On sale now! 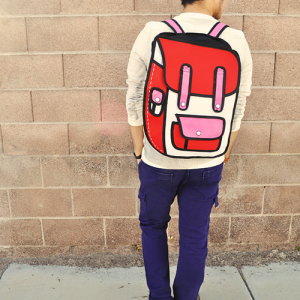 The Cartoon 2D Bag Purse is bright bold and in charge! 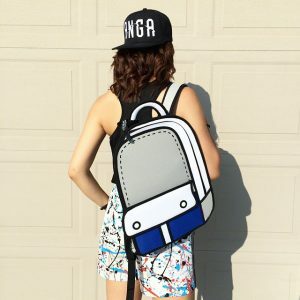 Show off your sass with your new 2D Purse perfect for grabbing the attention of the passerby or maybe that cute guy! This 2D Bag falls nothing short of spectacular with it’s eye popping colors and style. Match with a numerous amount of outfits for your daily grind and watch how it automatically starts conversations for you! 2. Can store all of your essentials from tablets, phones, lipstick, makeup and more! 3. Outer water resistant canvas material to protect your valuables. 4. Dual handles for a secure method of carrying. 5. Four separate colors to choose from: Red, Yellow, Violet, and Pink!